We are back for 2014! It's time for this week's Cupcake Inspirations Challenge and today we have a color challenge for you. 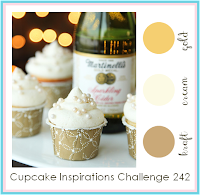 You can see our inspiration photo at the end of my post - we are using creme, kraft and gold. We are sponsored this week by Stamping Scrapping. You will want to check out this site. They have tons of great scrapbooking products! What will you design to share with us this week? Be sure to make a plan to play along with us. You can click right here for the link. This card is just lovely !! The design is pretty !!! I am very happy to be on this design team with all of the talented sweeties !!! Happy to be a new follower as well ! This is a stunning card! Happy New Year! I love everything about this card. So clean and simple. 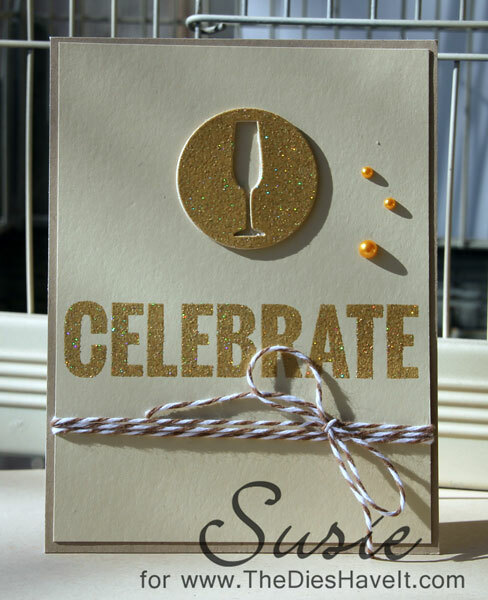 I love the bling and the cutout is great. Lovely!